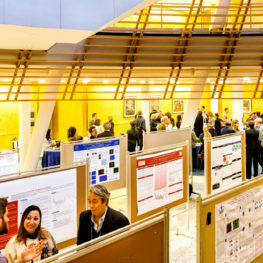 The symposium, hosted by one of our partners each year, provides a forum for the faculty mentors and fellows from all of the institutions to network with each other and showcase their work. Since its initiation in 2012, the Symposium has become increasingly important to both the Foundation and the neuroscience community. 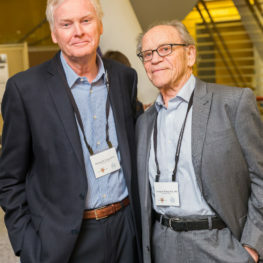 The eighth annual Leon Levy Fellowship in Neuroscience symposium was hosted by Weill Cornell Medicine, once again bringing together premier early-career scientists at the five leading neuroscience research institutions in New York City. One scientist from each school presented original research on topics ranging from “Leveraging Human Genetics and Mouse Models to Investigate the Biology of Major Depression” to “The Living Brain Project: A Prototype for the Next Generation of Human Brain Research”. 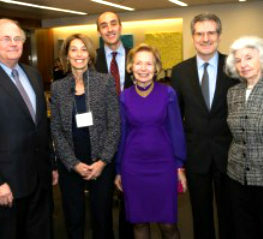 Cornell University’s Stephen and Suzanne Weiss Dean and Weill Cornell Medicine Provost for Medical Affairs, Augustine M.K. Choi, MD, delivered the opening remarks. Director and Chair, Feil Family Brain and Mind Research Institute Weill Cornell Medicine, Costantino Iadecola, MD, introduced the presenters throughout the day. Li Gan, PhD, Director, Helen and Robert Appel Alzheimer’s Disease Research Institute and Burton P. and Judith B. Resnick Distinguished Professor in Neurodegenerative Diseases at Weill Cornell Medicine, delivered the plenary talk on “How Microglial Dysfunction Contributes to Neurodegenerative Dementia”. 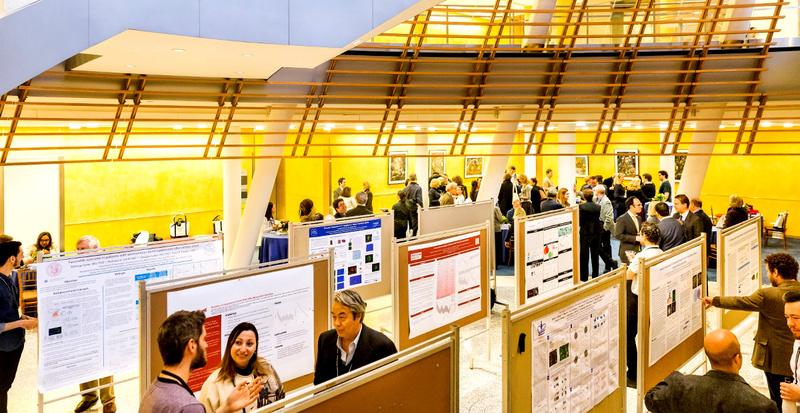 Following the presentations from current fellows in the program and the plenary talk, a poster session was held to highlight the fellow’s ongoing research and promote discussion and collaboration among all the attendees. The seventh annual Leon Levy Fellows in Neuroscience Symposium brought together premier early-career scientists at the five leading neuroscience research institutions in New York City: Columbia University Irving Medical Center, NYU Langone Health, The Rockefeller University, Mt. 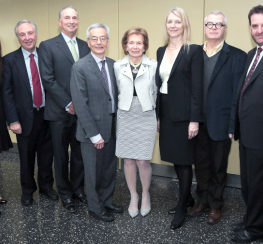 Sinai Icahn School of Medicine and Weill Cornell Medicine. 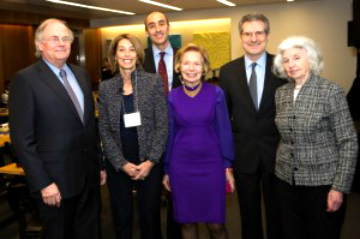 The event was hosted by The Rockefeller University and it’s President, Richard P. Lifton, M.D., Ph.D., and Co-Director, Shelby White and Leon Levy Center for Mind, Brain and Behavior, Mary E. Hatten, PhD. The plenary talk on “How genes control sleep and circadian rhythms” was given by Michael W. Young, PhD, Richard and Jeanne Fisher Professor Vice President for Academic Affairs, The Rockefeller University. Dr. Young is a recipient of the 2017 Nobel Prize in Physicology or Medicine. Young is the 25th scientist associated with Rockefeller University to be honored with the Nobel Prize. The sixth annual gathering of Leon Levy Fellows in Neuroscience brought together premier early-career scientists at the five leading neuroscience research institutions in New York City: Columbia University Irving Medical Center, NYU Langone Health, The Rockefeller University, Mt. Sinai Icahn School of Medicine and Weill Cornell Medicine. 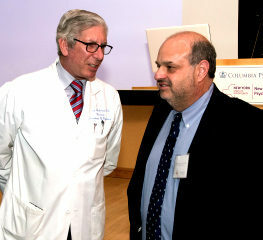 This year’s symposium was hosted by Jeffrey A. Lieberman, MD, Lawrence C. Kolb Professor and Chair, Department of Psychiatry, Columbia University Irving Medical Center. A plenary talk on “Being a Circuit Psychiatrist” was given by Joshua A. Gordon, MD, PhD, former psychiatry faculty at Columbia University Medical Center and Director of the National Institute of Mental Health, the lead federal agency for research on disorders of the brain. 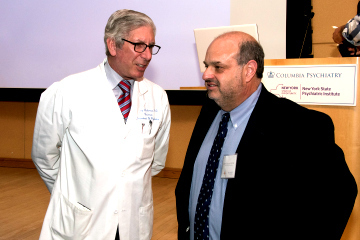 The Leon Levy Foundation held its Fifth Annual Neuroscience Symposium on May 4, 2016, hosted by The Icahn School of Medicine at Mount Sinai. The plenary talk was delivered by Pamela Sklar, M.D., Ph.D., Chief, Division of Psychiatric Genomics, Department of Psychiatry, Professor of Psychiatry, Neuroscience, Genetics and Genomics, Incahn School of Medicine at Mount Sinai. 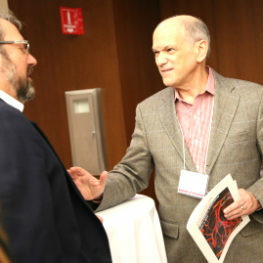 The event offers a unique opportunity to have experts in the field meet, present and discuss the latest in neuroscience research. And showcases the Leon Levy Fellowship Program’s support for the most exceptional young neuroscientists as they begin their careers in studies of the mind, brain and behavior, and encouragement to pursue innovative, risk-taking investigations. 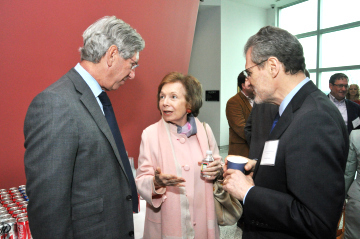 On Thursday, April 30, 2015, the Leon Levy Foundation held its 4th Annual Leon Levy Fellows in Neuroscience Symposium. 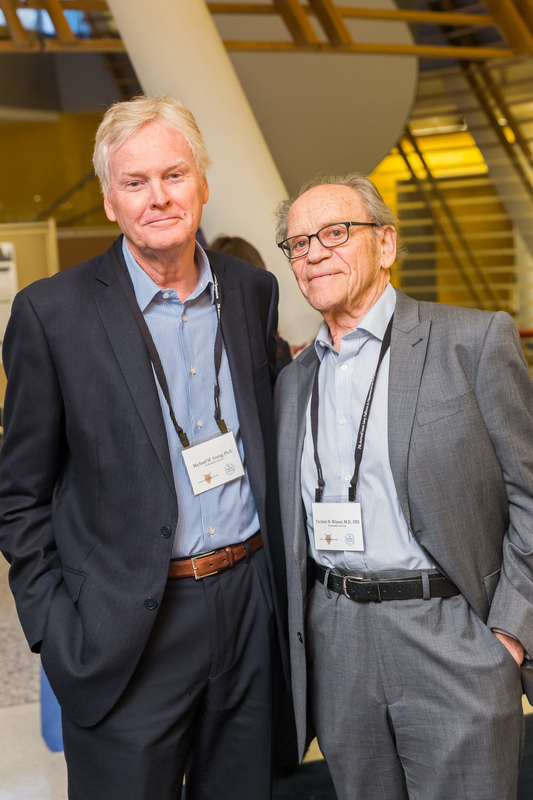 Hosted by NYU Langone Health, the event was attended by current Leon Levy Fellows as well as their mentors, former fellows, and other affiliated principal investigators from across the five participating research institutions. The plenary talk was delivered by Richard Tsien, D.Phil., the Druckenmiller Professor of Neuroscience, Chair of Neuroscience & Physiology, and Director of the Neuroscience Institute at NYU Langone Health. 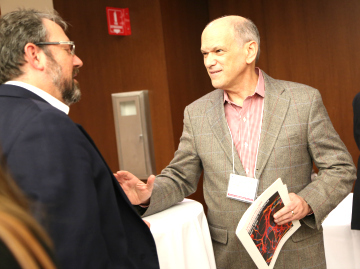 The third Annual Leon Levy Neuroscience Fellows Symposium was hosted by Weill Cornell Medical College in its Belfer Research Building on April 30, 2014. Current and alumni fellows, principal investigators, heads of laboratories and neuroscientists from our participating institutions gathered for a full day. The day ended with a poster session and cocktail reception. Presentations about their research were made by current Leon Levy Neuroscience Fellows, Drs. Gaurav H. Patel, Stephen V. Shepherd, Nicholas Stavropoulos and Makoto Ishii. The Plenary Talk was delivered by Dr. Gregory A. Petsko, Director of the Helen & Robert Appel Alzheimer’s Research Institute at Weil Cornell Medicine. 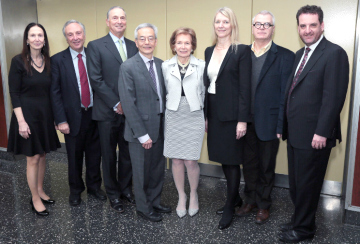 The second annual Leon Levy Neuroscience Fellows Symposium was held at the Columbia Psychiatry Institute at Columbia University Medical Center on April 29, 2013. The poster session was added to the day’s program enabling the researchers to study and discuss each others work. The Plenary Talk was delivered by Richard Axel, M.D., Nobel Laureate and University Professor, Co-Director, Mortimer B. Zuckerman Mind Brain Institute, Columbia University. 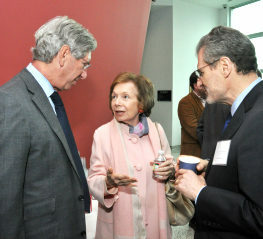 The inaugural Leon Levy Neuroscience Fellows Symposium was held at Rockefeller University on May 16, 2012. Leon Levy Fellows from Rockefeller University, Memorial Sloan Kettering Cancer Center, Columbia and New York Universities and Weill Cornell Medical College discussed their neuroscience research. 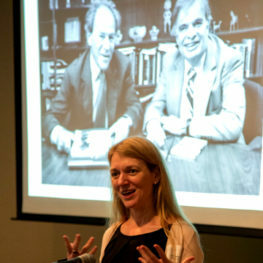 In attendance were their mentors, invited guests, former fellows and principal investigators involved with the program. Cori Bargmann, Ph.d. former Director of the Shelby White and Leon Levy Center for Mind, Brain and Behavior delivered the Plenary Talk.